Like any other high rated smart phones of the present, this smart phone was also under the trap of leaks. But finally couple of days ago the smart phone, which is actually a descendant of the hot and popular Sony Xperia range, Xperia Z1 was announced. The Z1 has some of the classic features and inbuilt software which has made it one of the hot cakes for the users. But like all other electronic companies, Sony also, reduced the display size and some hardware functions and officially announced the ZI mini. It is also said to have a rich and high end specs with a smaller screen and lower price. After a lot of rumors speculated about the launch of the Xperia Z1 mini, it was finally launched to the world in Japan. Japan’s network carrier, NTT Docomo, has actually taken the initiative to make the confirmed announcement of this highly popular upcoming model. As expected from the sources that can be gathered, Sony is planning to reveal this model in their winter series which starts from the end of 2013 to the starting phase of 2014. It is expected that the electronic giant, Sony, will not be only launching this smart phone in that phase, but there will be several other gadgets that may come in limelight. The smart phone, Sony Xperia Z1 f was considered as a smaller size of its bigger lineage, Xperia Z1. When the rumors first came out of the box, the Xperia Z1 F was termed as Z1 mini and also as Hunami mini. DISPLAY: While the Z1 features a large screen of 5 inches, the Xperia Z1 f features a screen of 4.3 inches. While the Xperia Z 1 comes in with a high definition resolution screen, the Z1 f appears in 1280 x 720 LCD resolutions. Though this may sound a bit of a backdrop, but it is this very feature that ensures the smart phone to be compact in size and can be easily adjusted in one hand. HARDWARE: The Z1 f doesn’t owe to have all the hardware that made the Z1 famous. It cannot be synched in the Z1F. Be it the processor strength or the battery, the phone stands at a little lower intensity over its larger father. Though this may sound to be upsetting, but to coincide with the size of the mobile and the immediate software of Z1, these features have been lowered. According to the latest announcement from the Sony, the latest Sony Xperia Z1 f which is incidentally the smaller version of the popular hit series Xperia Z1 sports the processor which has a snapdragon of 800, and 2.26 GHz along with Andreno strength of 330 GPU. According to many gadget minds, it is expected that the latest announced smart phone’s process is quite an ideal for business and at the same time good for eco-environment. For the storage part, the smart phone comes in with a RAM of 2GB; it has an internal memory of 16 GB. Though there are options for expanding the memory through expandable storage with memory card slots. The display size of the screen stands at triluminos 4.3 inches, which acts as quite comfortable, the reason being it is ideal to grip in between hands. The clarity and sharpness of the visuals are also quite crispy and clear. The smart phone comes in with pixel strength of 341 per inches in resolution of 720 pixels HD. The latest announced smart phone from Sony, Xperia Z1 f comes in with android 4.2 jellybean. There has been information, that whether the android version can be updated to the higher when launched or not. 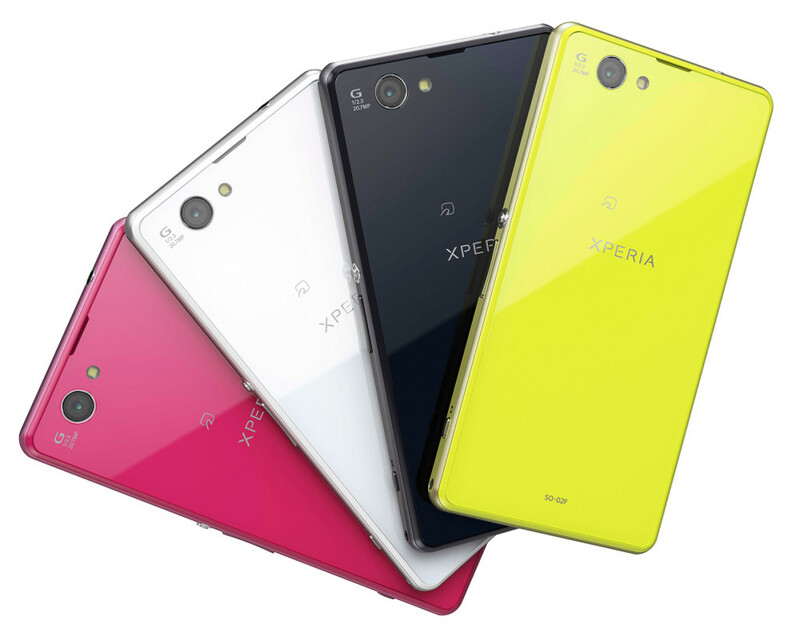 In the specifications of the camera, the same specs of the Xperia Z1 are carried here. The phone will be seen in 20.7 mega pixels rear end camera. The smart phone also has a rear front end camera of 2.2 MP. The phone can bring in a large variety of choices for its users. Though noting has been revealed about the expected price of the smart phone, but it is confirmed that the phone will be available in 4 colours namely, pink, lime, black and white.